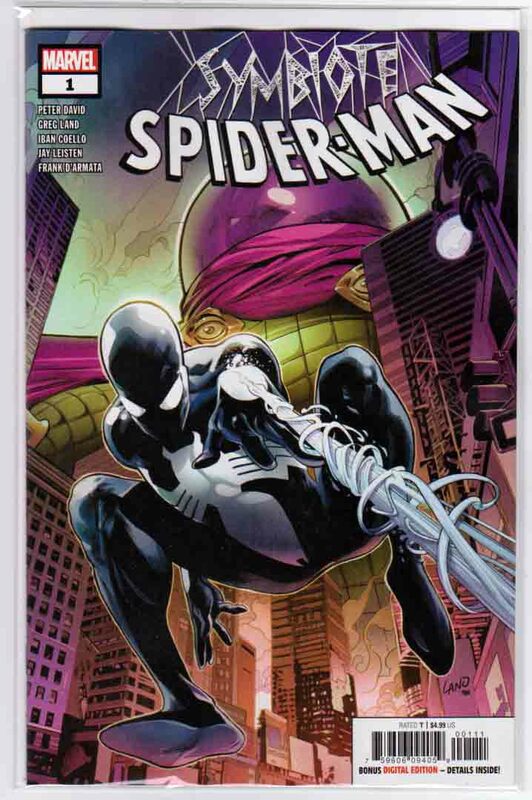 Symbiote Spider-Man #1 (2019) Greg Land Cover & Iban Coello Pencils, Peter David Story Everyone knows that Spider-Man’s infamous black suit would someday become the wicked web-slinger called Venom — but what happened BEFORE Peter Parker discovered the black suit’s sinister secret? Find out in this dynamic tale from comics legends PETER DAVID and GREG LAND! Set during the original “Black Suit Saga,” this is an all-new tale that pits the wall-crawling wonder against that most mystifying of menaces…MYSTERIO!